Delhi Akshardham - lotus temple & Red Fort -After Breakfast, Check Out From the hotel and visit Ashardham Temple Sight Seeing & Lotus Temple & Red Fort Full Day Sight Seen After Than drive to hotel Meal Plan -Breakfast & Dinner. Enjoy river rafting Kasol & Kullu Local Sight Seeing. 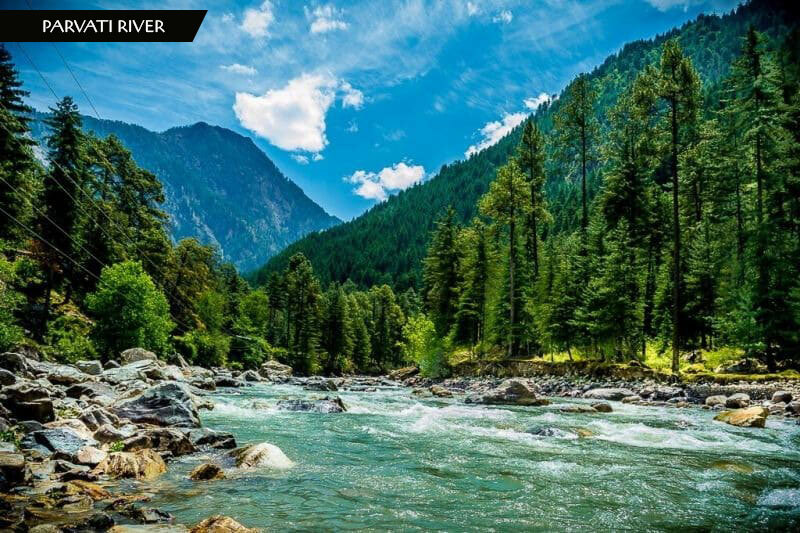 After breakfast check out and drive to Kullu Valley.Enjoy river rafting (Own) & Kasol Valley full day sightseeing Manikaran by Separate Cab Evening Drive to the hotel and Overnight stay at a hotel nearby Manali. Scenic Views, Skiing Gears, Great Day following your arrival ahead in Manali, take a delightful drive through the beautiful trails and reach the Solang Valley. With your entry in the valley, do not forget to collect your skiing gears. Once done with obtaining the required travel gears, check-in into a hotel and spend the day at leisure; Night stay will be at the prebooked hotel. Theory Classes Skiing Lessons, Introduction to Various Techniques Today, you’ll spend time with the instructors, who will teach you the basics of skiing. 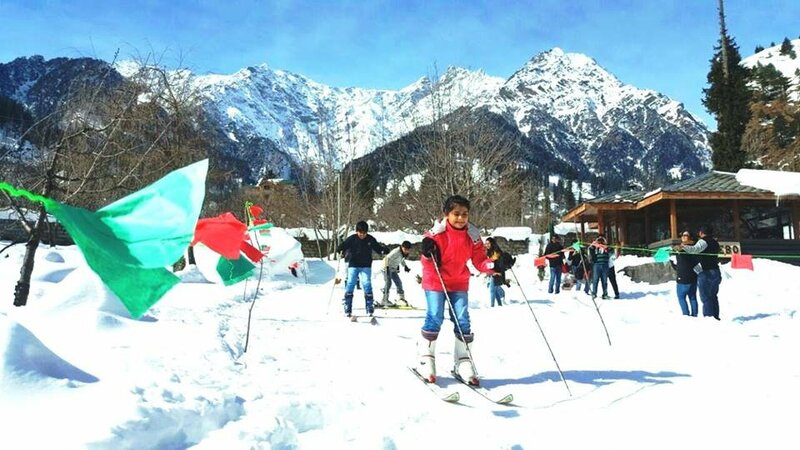 Make sure, you do not miss out any of the techniques, as they are utmost famous for skiing in Solang Valley. You will be provided, individual demo sessions, and you can learn how to balance, slide and counter falling on the skis. Practical Sessions Recap and Practice of Previous Session, Snow Plough Technique Today’s classes will take skiing to a new level! While the first half of the day will be vested in practice, the second half of the day will advance you to techniques like a snow plow. Grab in all the essential tips from the instructors and once done with the classes, get back to your hotel room and spend the day at leisure; overnight stay in the hotel. Today morning after breakfast check out from the hotel and then drive back to Delhi Airport / Railway station. Tour ends here, but sweet memories always remain. * Hotels are subject to availability at time of reservation. * If the base category room will be not available then supplement cost will be applicable for upper. * All rates are Net & Non-commission able to you. * Rates are subject to change, without any prior notice. * Cancellation & other policies as per the hotel/company rule. * Entrance fees at any point shall be paid by the customer directly. Ø International or Domestic airfare / Train Fare is not Included in above quote. miscellaneous expenses of personal nature. Ø Any meals other than specified. Ø Any expenses caused by reasons beyond our control such as road blocks, accidents any medical evacuations. missing sightseeing points is not visited sightseeing point also. to walk down to the respective parking point by themselves. situations – it is noted from our past experience and on ideal judgment as well. documents should include a photograph. Ø Ideal check--in time will be 02:00 PM Check Out timings will be 11:00 AM only. 1. This is only a proposal. WE ARE NOT HOLDING ANY RESERVATIONS. 2. Room / Rates / Vehicle SUBJECT TO AVAILABILITY AT THE TIME OF CONFIRMING THE SAME. 3. Above rate is just an indication for 29 July, 2017. 4. These rates are not valid for any conferences, events, long weekends and exhibitions. 5. Above cost proposal is based on minimum 02 adults traveling together. 6. Costing will differ if number of days / pax increases or decreases. 7. Rate would increase if State Tax, Service Tax, Toll Parking, diesel petrol Rate increases. 8. Above hotel transport rates are subject to change without prior notice. and without any prior notice. 10. Acchajee Travels booking Terms & condition will apply. 11. We would require written confirmation from the travel agent/guest to confirm above tour or hotels. permitted or will incur a penalty/charges. 14. Cancellation of the booking will incur cancellation charges. 15. In case of any refund from Acchajee Travels we will require minimum 30 days’ time to process the same. 16. Prices quoted on travel products are subject to change, at any time, until full payment has been received. For Advance booking, we need 30% token amount and the balance will adjust during the tour. • You can also transfer money through NEFT /Debit or Credit Card Transaction. • You can pay online through the below-mentioned link. Adventure has always been a fancy of human limitations, against which one challenges and puts to test one’s caliber and guts. While talking about an adventure destination in India, various names pop up, yet nothing parallels the wide variety of adventure activities in Manali. So, in case you are still in a fix about what adventurous things to do in Manali, take a back seat and just scroll through our different to-do list. For those who wish to overcome the exciting currents of water river rafting in Manali is a necessity. The challenge of lasting through the wicked twists and curves of the rapids will satisfy your desire for adventure in Manali. Before starting, the rafting is given a brief presentation and made wary of the hidden threats. Surf with majestic mountains and get familiar with deep blue skies while paragliding in Manali valley. One must maintain nerves of steel to make the initial jump, after all, it is considered one of the most challenging adventures sports in Manali. Amidst a vast assortment of adventure sports in Manali, Hiking allows soaking in the beauty of tranquil landscapes. 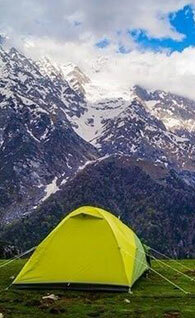 Also, Hiking provides an ideal moment for availing the experience of camping in Manali. Feel the adrenaline charge through your veins, as the wind swooshes past your ears and the bicycle fires your muscles. Biking through the beautiful tracks of Manali’s hills requires a skillful handling of the bike and an intense activity of cycling on rough mountain tracks. If scaling mountains range is high on your preference list, then Manali is your best answer. Before taking on the Mountaineering, basic lessons are provided to mountaineers regarding the equipment, so that they can comfortably face difficulties that might come in the way.From rock-climbing to altitude-climbing everything is covered under mountaineering done at Manali. Furthermore, spike to the list of Manali adventure sports activities is Zorbing. It will provide you a sense of a world turned upside down. So get set to be Zorbed, wrapped into a big rolling ball, while you are relaxing inside Zorbing in Manali. Considered as one of the best adventure tours destination, Jeep Safari provides travelers to climb the high mountain peaks and relish the magnificence. Through Jeep Safari, one gets to experience a close exposure of actually living in the hills.